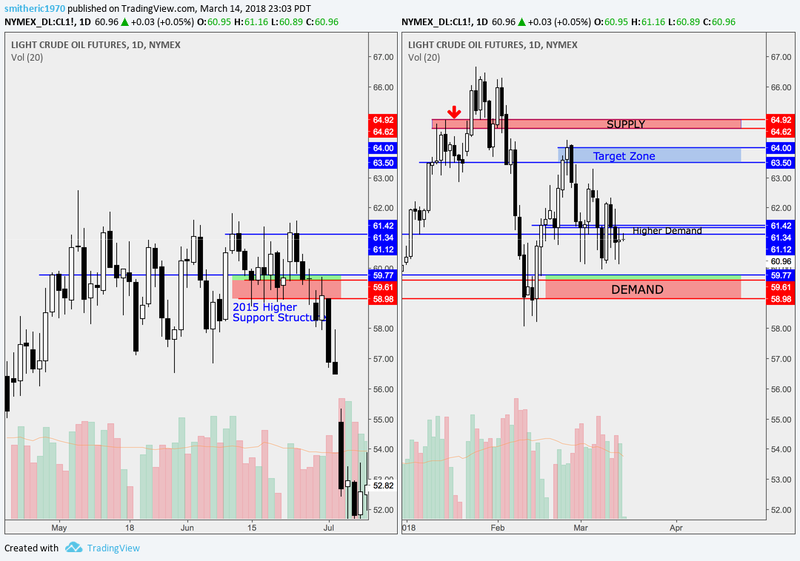 I believe that oil is currently in a 59.87-64.62 Daily Range and that consolidation in this range will continue through the May 1018 contract (CLK8). 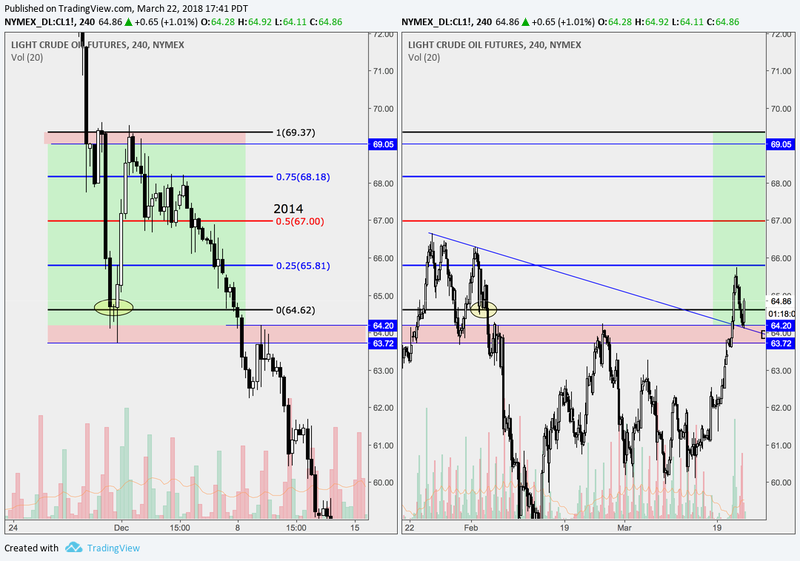 I am looking for 59.57-59.88 Demand and will be entering long advising SL below 58.98 (58.98 I'll show on a separate chart showing a higher demand structure forming during the long 2015 distribution range). 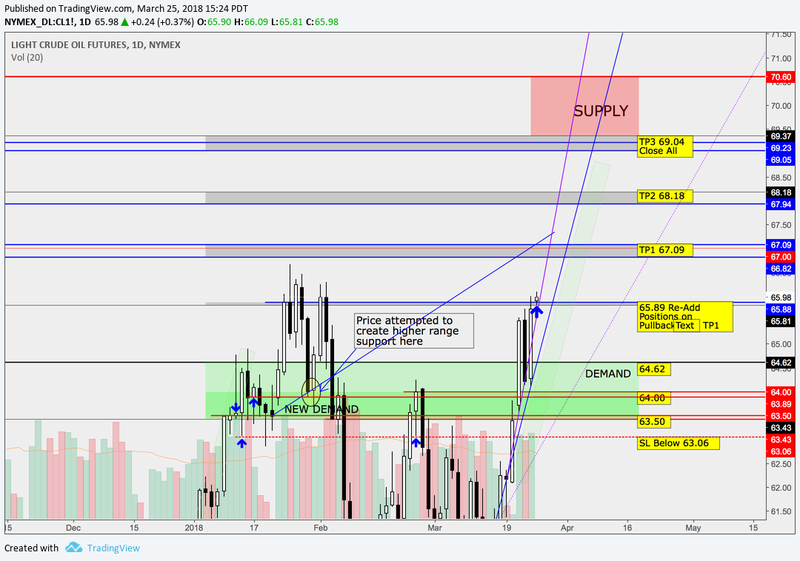 First target at the CLK8 January Supply/Demand Exchange and second target near the 63.83 Daily Inflection. I will be looking to sell likely near the top of the range between 64.6 and 64.9. As always, comments and questions are welcome. Good trading all! 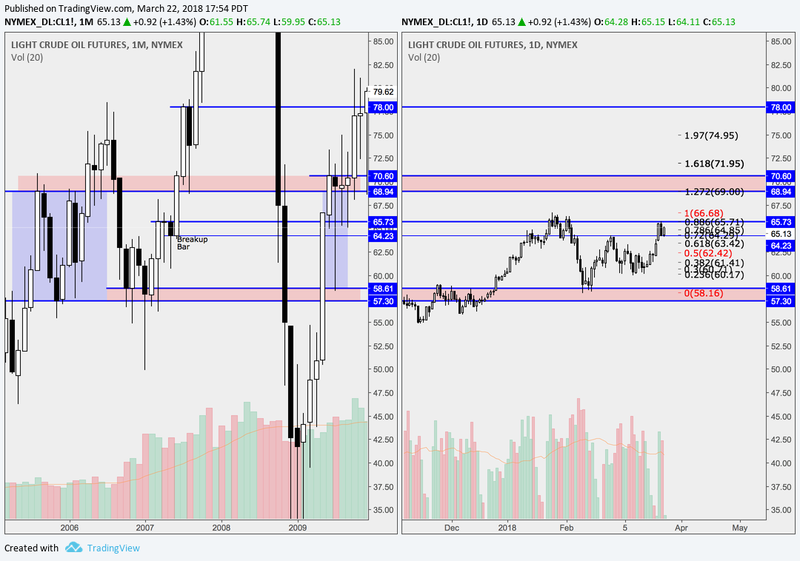 Trade closed manually: Closing this out, had good bones but just didn't get the last drop down to 59.88 that I was looking for; note: I have changed my view of current area that we are in as being supply and believe there is a good chance that prices make a move up to the 69 level. Let me know if you are interested in a chart. You definitely need to continue your work. You make excellent scripts and graphics. up to the 69 level?? ?